Where Do LST Radiators Need to Be Installed? Home » Where Do Low Surface Temperature (LST) Radiators Need to Be Installed? Where Do Low Surface Temperature (LST) Radiators Need to Be Installed? LST radiators are created to syndicate design and safety, but not compromise on quality. Stelrad LST radiators can be purchased in a variety of sizes and dimensions to fit any kind of room. However, is it the right fit for your environment? Is it really necessary? You can find out all about where LST radiators need to be installed here. LST radiators, and particularly Stelrad LST radiators provide the highest standards of safety and performance. These radiators are skilfully built to provide not only excellent heat output, but also keep the radiator surface cool and safe to the touch. Stelrad is a reputable brand known for its excellence and reliability and is extremely popular amongst our customers. These radiators are required in all educational establishments. The low surface temperature of these radiators protects young children from serious burns. These radiators also help with energy efficiency, are easy to maintain and are still aesthetically pleasing. The Education Regulations in 1996 stated that all heating in school buildings should be LST radiators to take into account the Duty of Care for both staff and pupils. All buildings open to the public, whether they are privately run or run by public bodies, must ensure people are not exposed to unnecessary risk. This includes heating and if there are no safe radiators installed, you risk having to pay out compensation for any injuries that could be caused. Installing these radiators ensures that vulnerable people are not at risk from serious burns. LST radiators are an absolute must in both hospitals and care homes. There are many sick and vulnerable people residing in both of these establishments and it is far too easy for them to fall into a burning hot radiator and contract serious burns. Installing LST radiators in hospitals will stop already vulnerable people from hurting themselves more. Care homes are also required to install LST radiators now to protect the older residents living there. This can help to prevent serious injuries as an elderly person can very easily fall into a radiator and not be able to stand up and move away from it. Serious burns can then occur within a matter of just seconds. 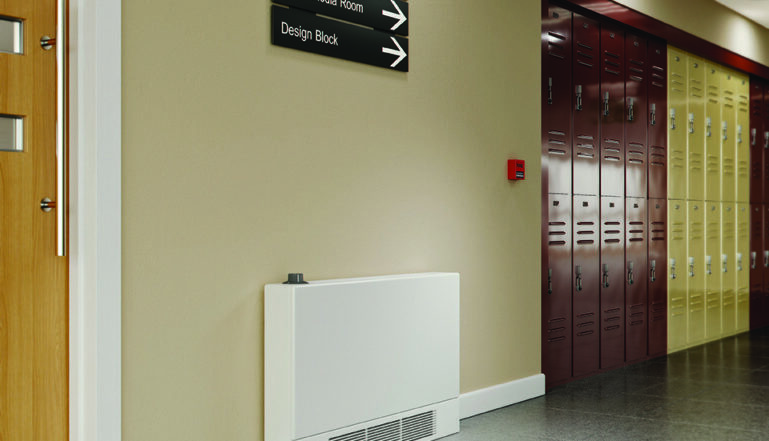 LST radiators are commonly thought to only be used in environments such as educational establishments, hospitals and care homes, however, they can also be fitted in homes too. These types of radiators are great in homes with elderly people, young children and also pets too! If you are looking to have LST radiators fitted, contact us today for more information. We can provide you with help and advice on which Stelrad radiator is right for you.